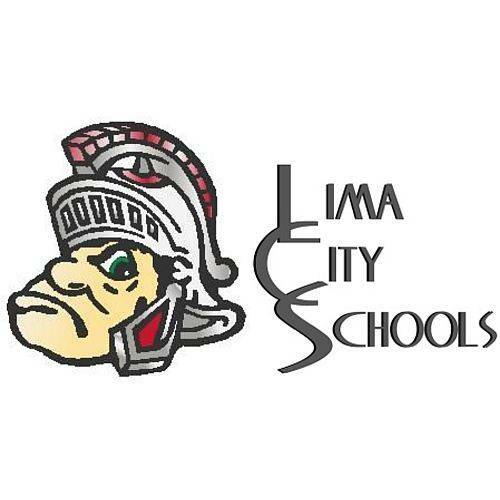 LIMA — Eighteen students from Lima Senior High School who didn’t graduate in May did so on Monday prior to the Lima Schools Board of Education meeting. Many of the students just needed that extra effort to get their diploma. “This year’s graduating class had the opportunity to take some alternative pathways, which gave our kids more of a chance to get a diploma. So this actually is a lot bigger than some of the classes we’ve had in the past. These kids had to pass their end-of-course assessments and they’ve had multiple opportunities to do that. That was the only thing hanging them up, or it could have been a class that hung them up, so we offered them those opportunities in the summer here at South and at Lima Senior High. They knew they could just come in that short period of time and finish up what they needed to do, and they chose to do that, so we’re really proud of them all,” said Lima schools Superintendent Jill Ackerman. These summer graduates are still considered part of the 2018 graduating class. “That’s why we do a regular graduation with caps and gowns and diplomas because they are the class of 2018,” said Ackerman. The reasons these students didn’t graduate in May with their classmates are many. “I don’t think people really realize some of the struggles a lot of our kids have had. Many of them work full-time jobs, many of them are third-shift workers trying to go to school during the day. Many of them have maintained day and night school, and it could have been a test that held them back. Many of them have just some hardships that go on outside of school in their personal lives that have kept them back,” said Ackerman. During the regular meeting, the school board opted out of career technical education for students at two of the magnet schools. “We have a career course at West for all 7th and 8th graders. At Liberty and at South, it’s been difficult to implement that because of the extra hits of science and technology at South and the extra hit of the arts at Liberty. All the kids do have the Ohio Means Job backpacks that they’re working on online, but it’s that extra course we haven’t been able to yet figure out how to integrate. But the principals have some proposals that they’ve worked on, so we’re hoping that maybe next year we’ll be able to have that here at Liberty and South as well,” said Ackerman.